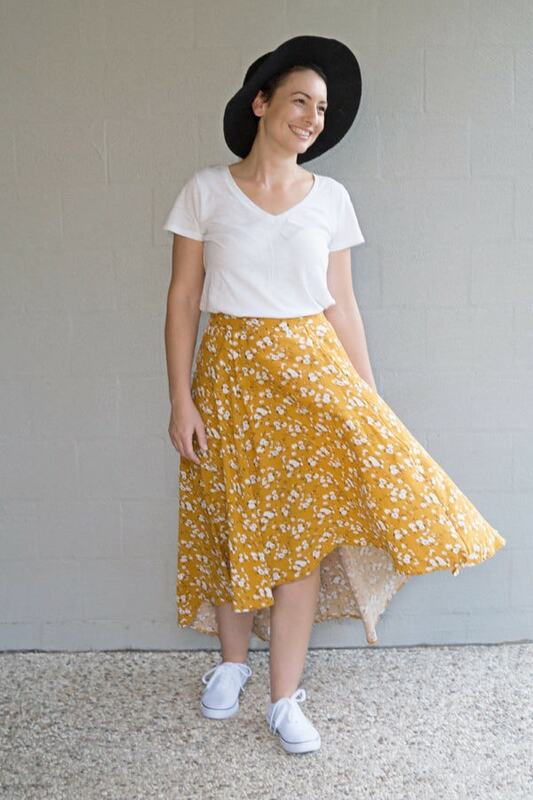 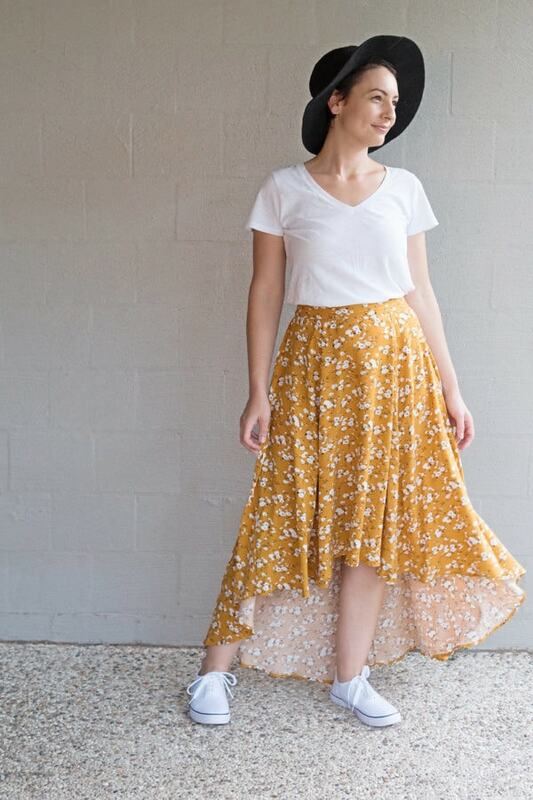 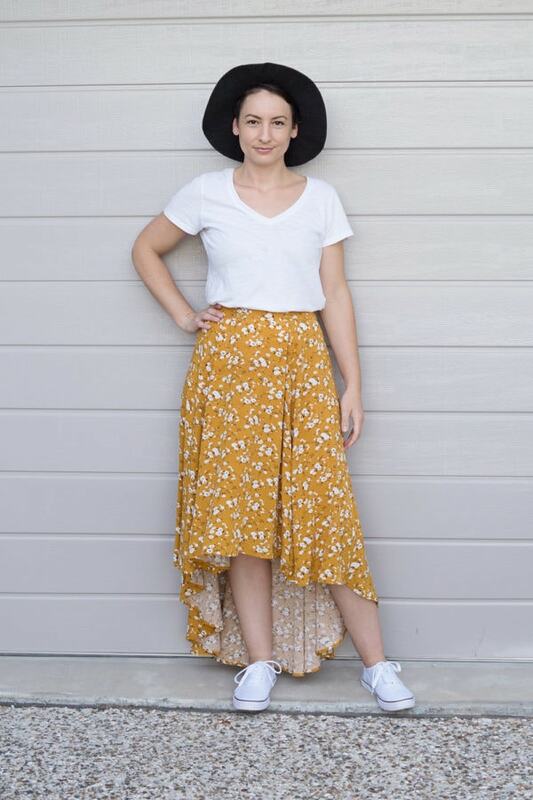 Flowy, fun, and fabulous, super easy, five-panel skirt sewing pattern! 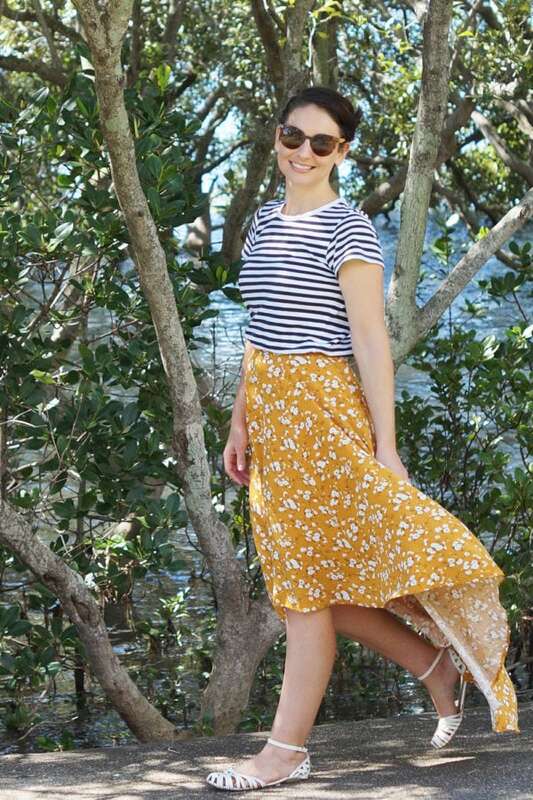 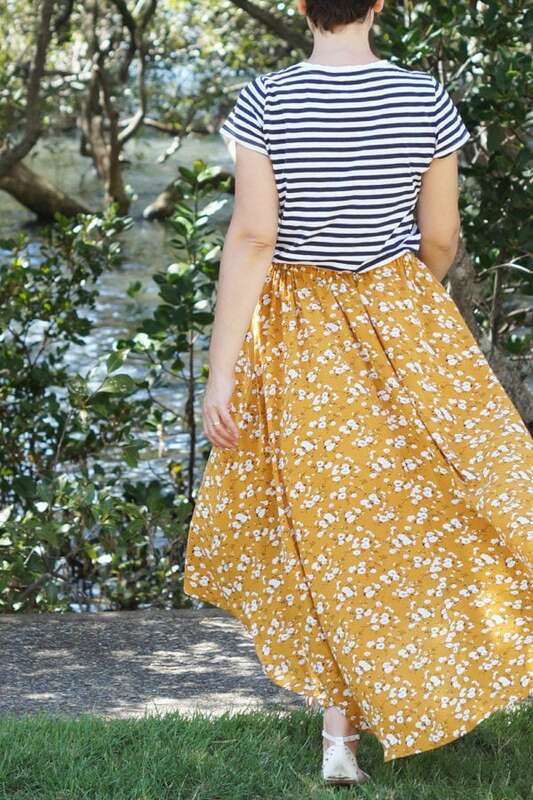 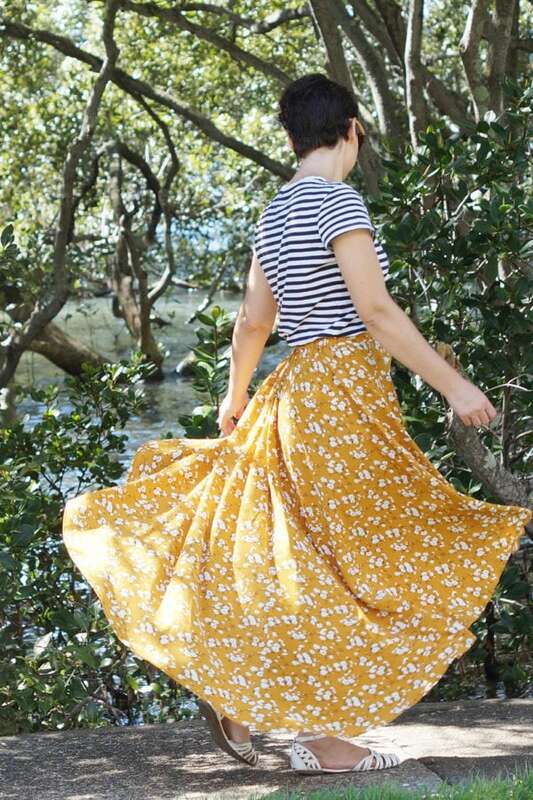 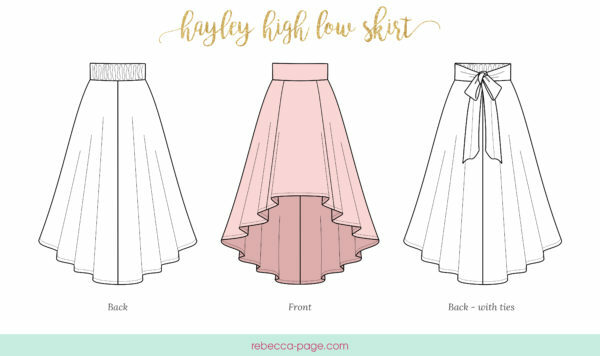 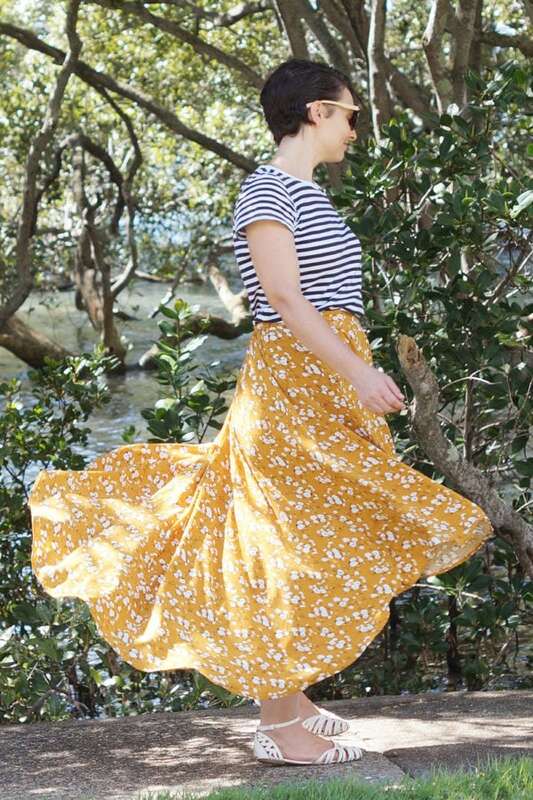 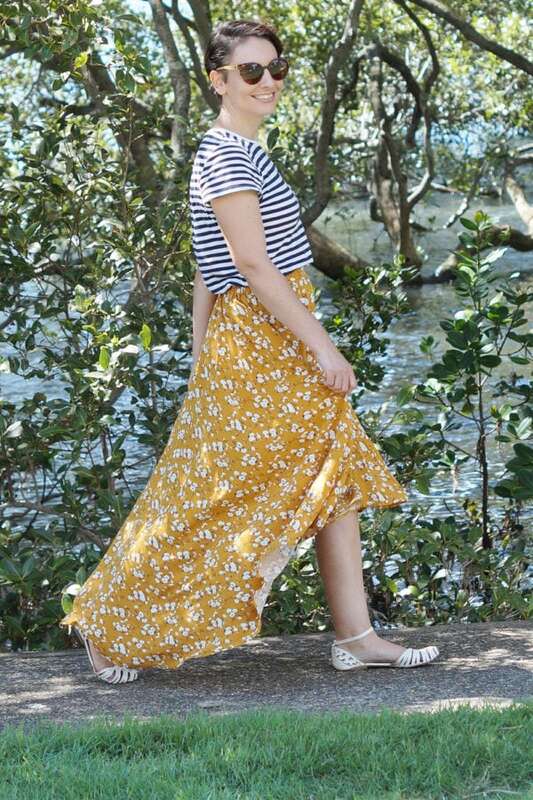 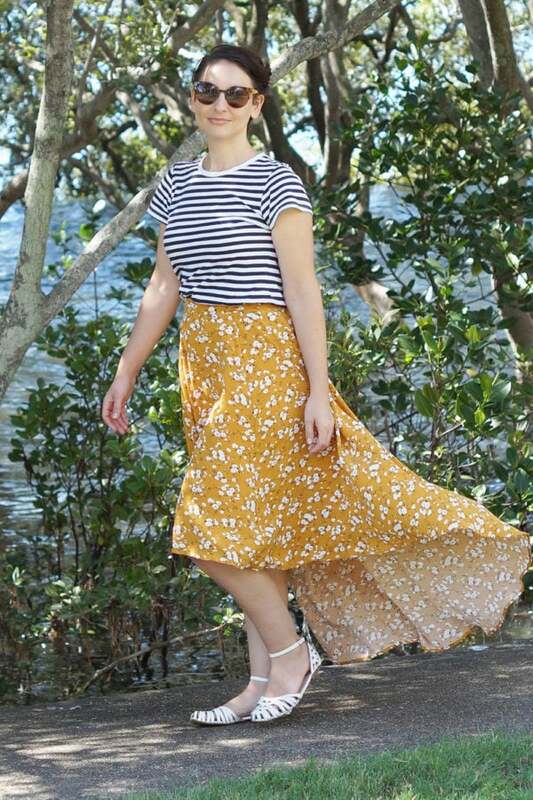 Flowy, fun, and fabulous, the Hayley high low skirt sewing pattern gives you HIGH impact with LOW effort! 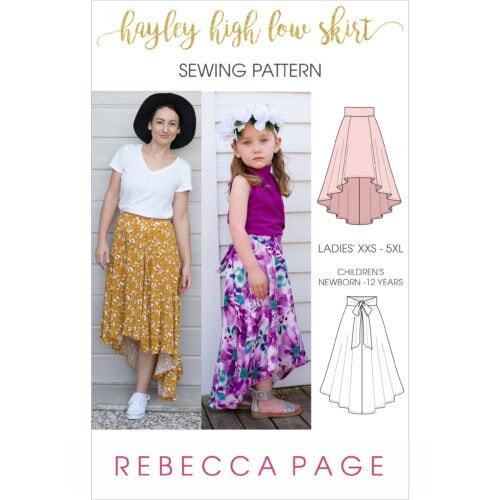 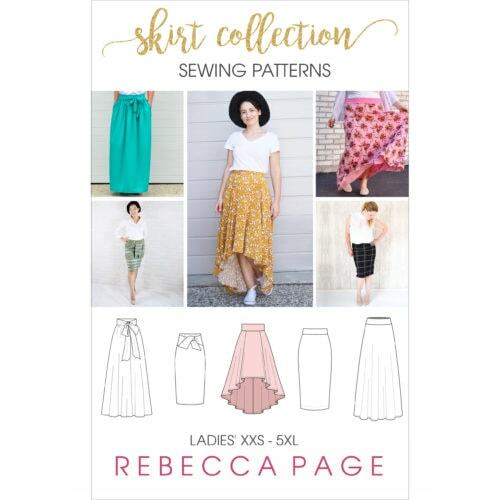 It’s got maximum wow factor and is a really quick and easy sew! 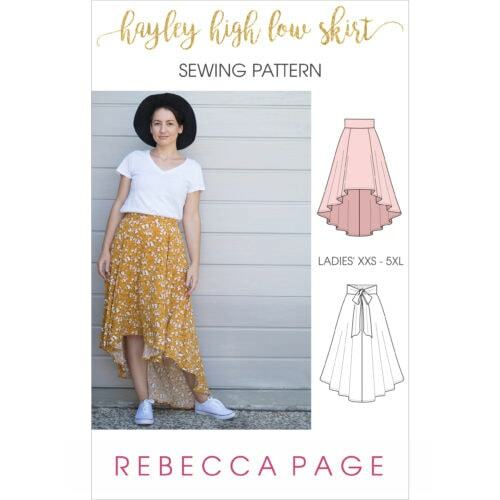 With this pattern you get a five-panel skirt with an elasticated back waist and a brilliantly billowy back train! 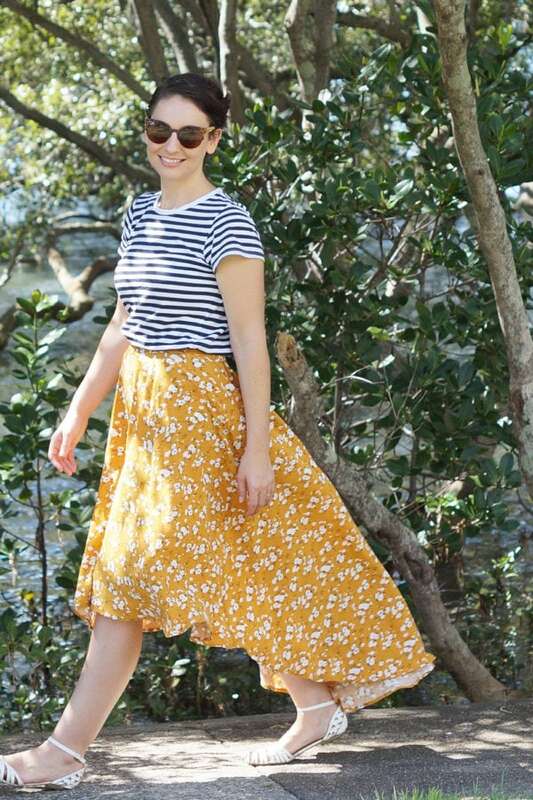 Even better… you can add POCKETS! 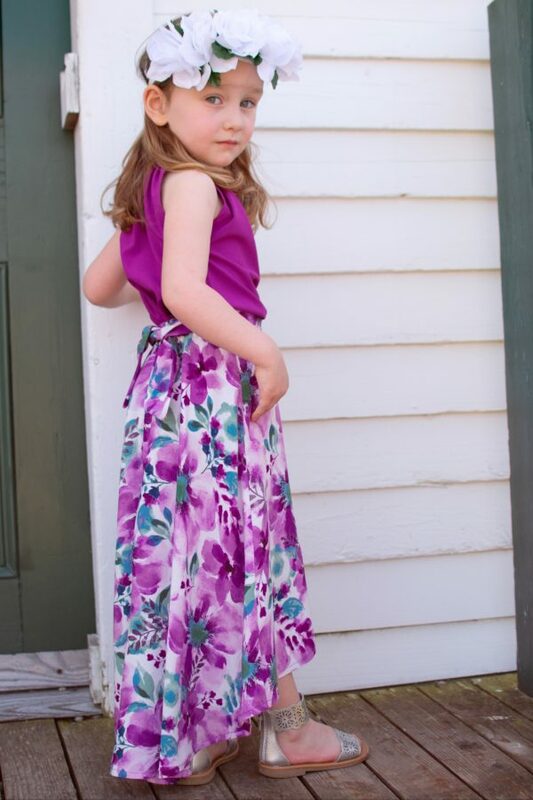 And a sash that you can tie in the front or the back. 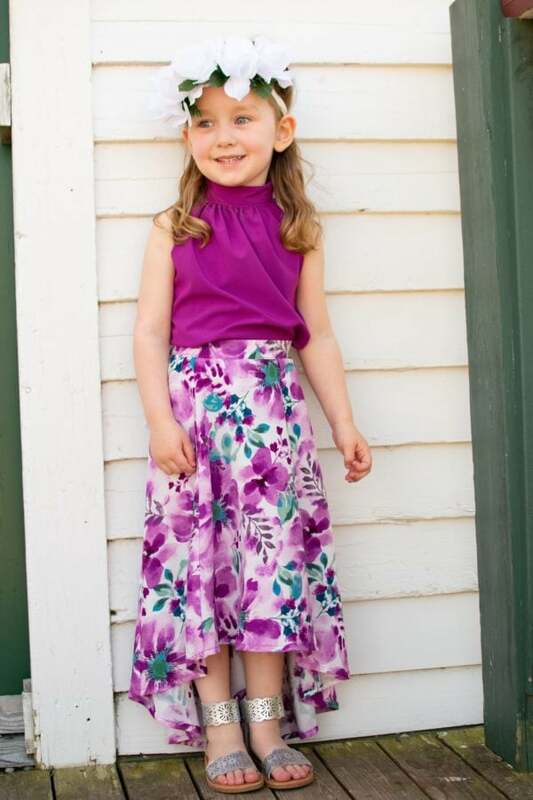 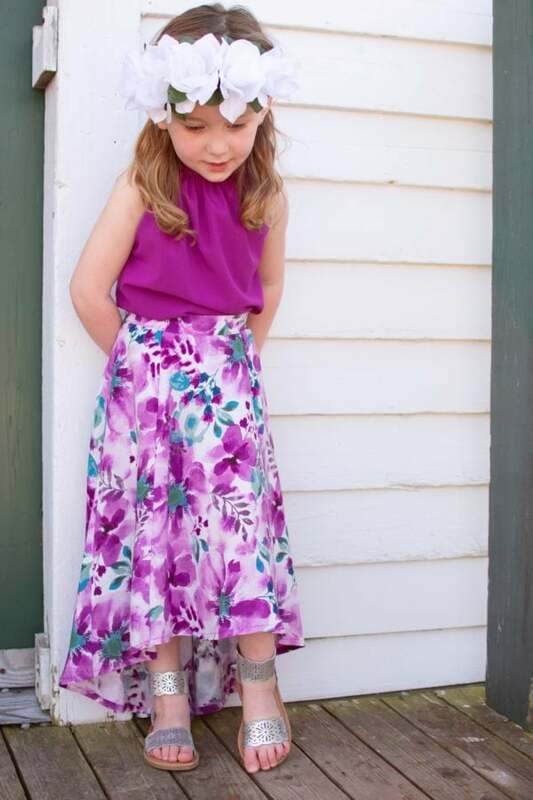 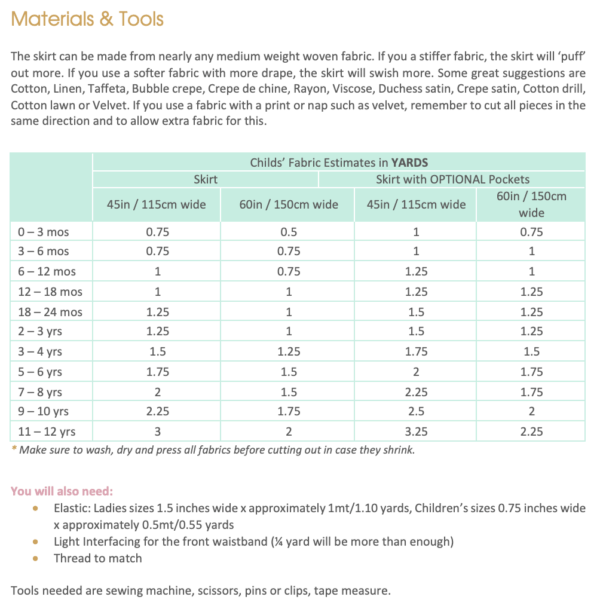 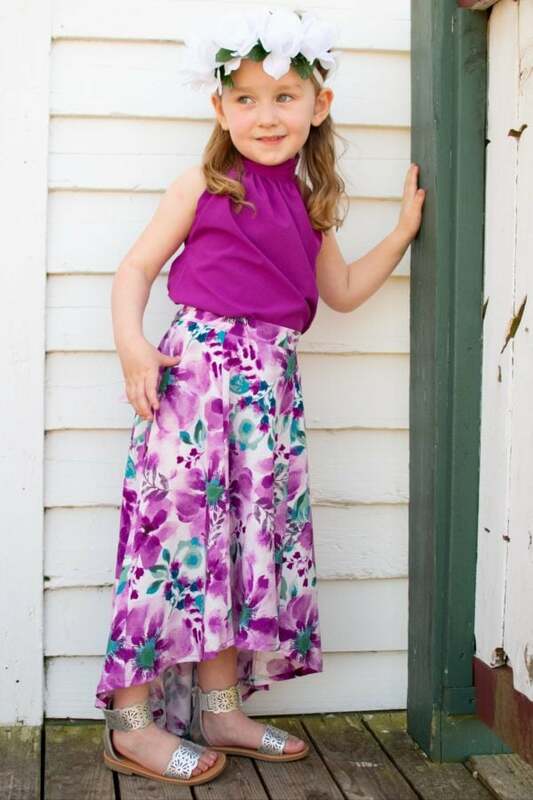 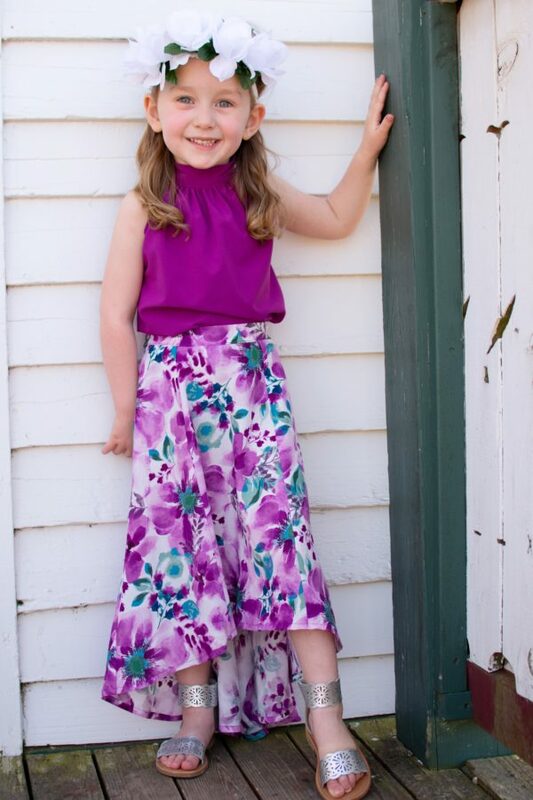 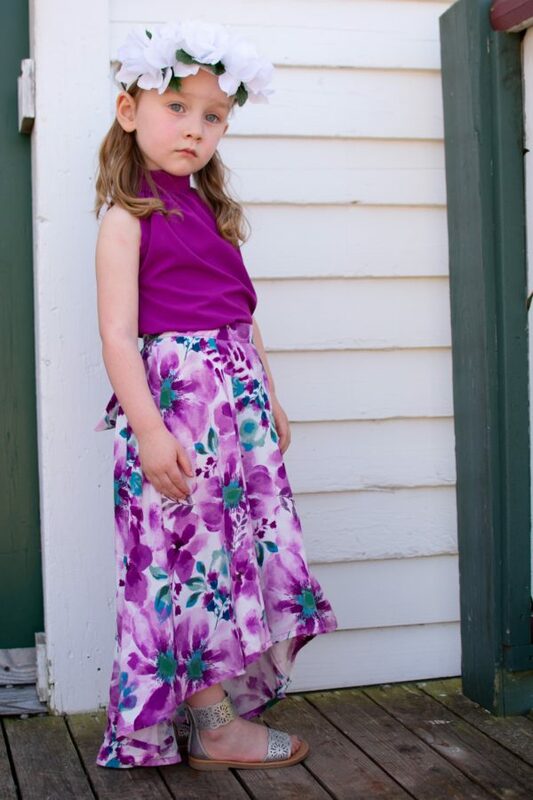 Pattern includes ladies’ sizes XXS to 5XL, and children’s sizes newborn to 12 years. 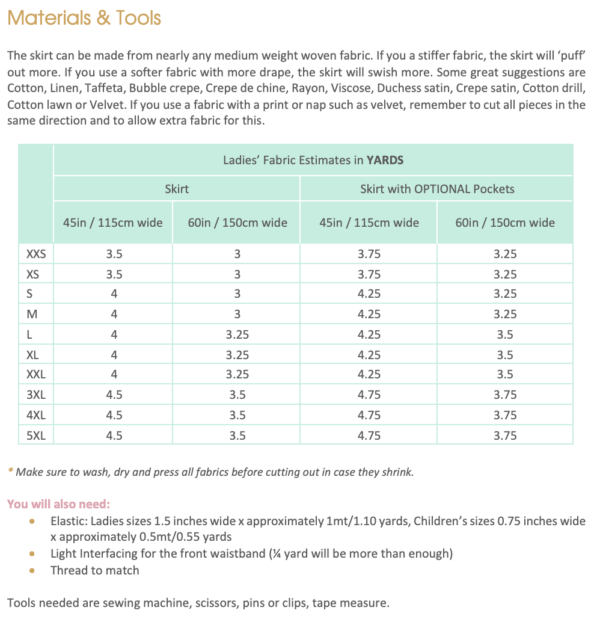 See the size chart in the gallery above.